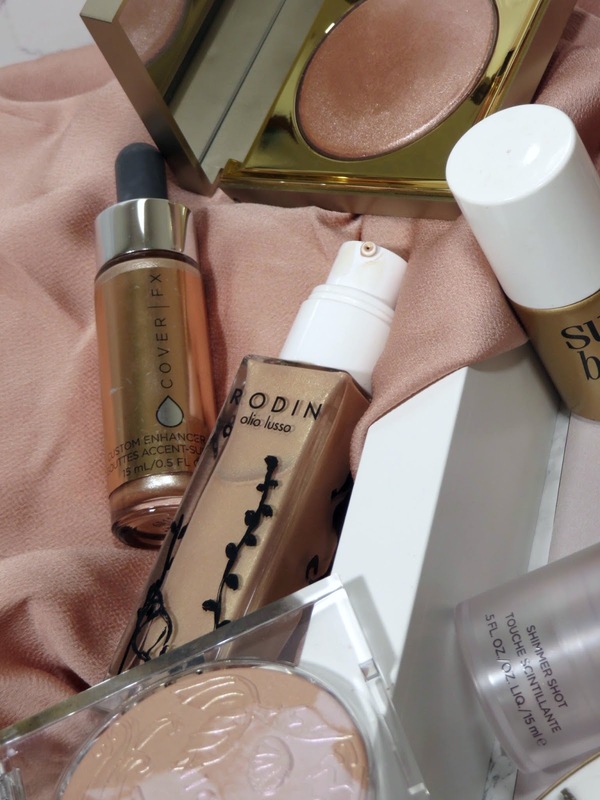 Summer is all about lighter and fresher bases and seriously glowing skin! Which is why every year, brands launch a barrage of highlighters in anticipation for summer. Before summer ends I thought I'd share some of my current favorites for the year, some released this year and others are long time favorites. 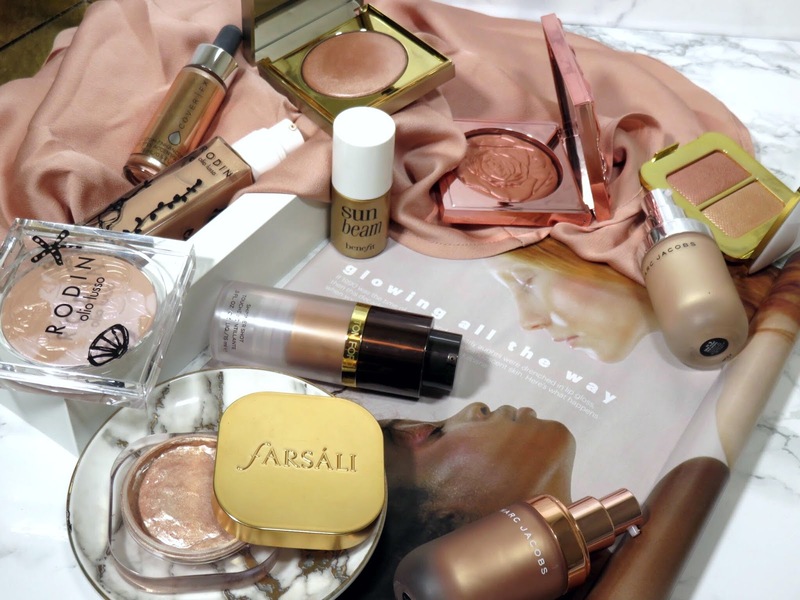 I tried to choose a wide range of shades and textures to suit every skin tone and skin type. 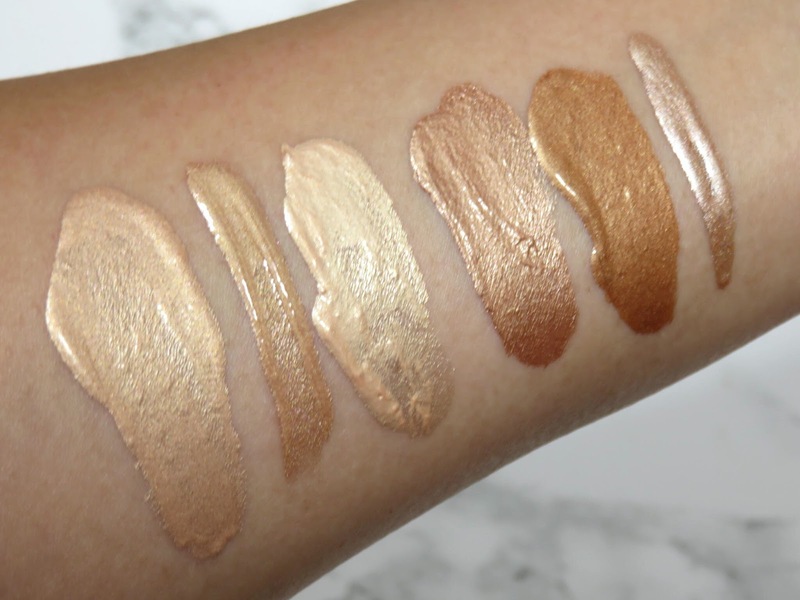 I obviously have many highlighter favorites but I chose these particular shades and textures because I felt like they were ideal for summer. Want to know my pick? Let's get glowing! 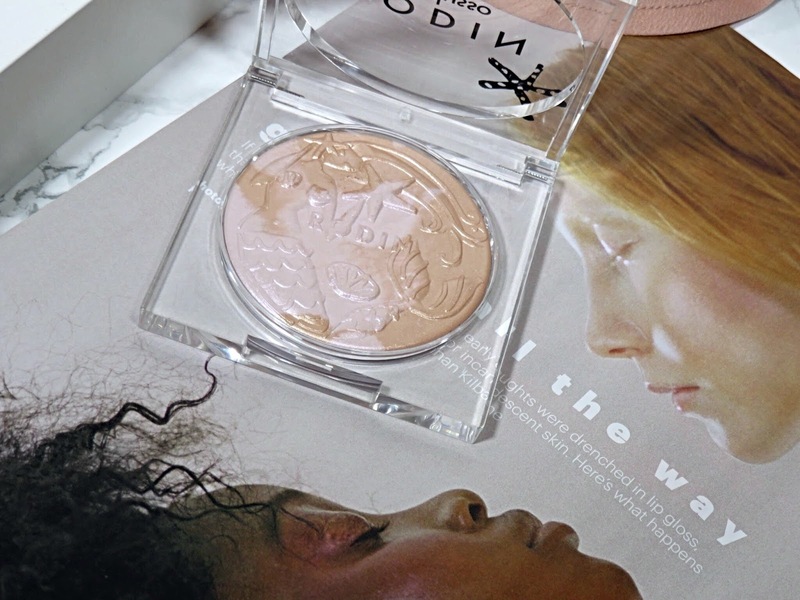 RODIN olio lusso Siren Luxury Highlighting Powder - This powder highlighter is so smooth and creamy. The marbled lavender and champagne is the perfect blend of cool and warm tones for almost any skin tone. The shine is strong but not shimmery or glittery, just a very strong gleam. It is very pigmented and blends into the skin seamlessly. Check out my full review here. 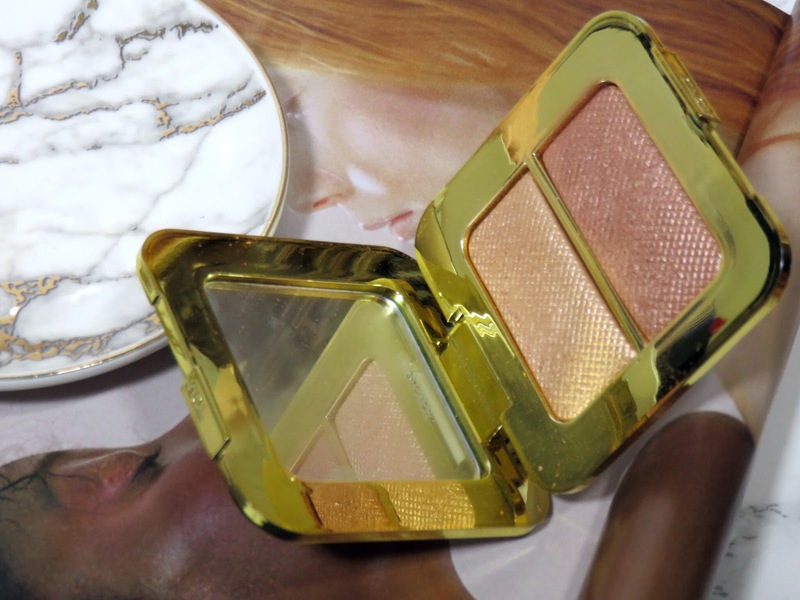 Tom Ford Sheer Highlighting Duo in Reflect Gilt - This highlighting duo has been out for a couple years and it just as beautiful on the skin, as it appears in the compact. The gold and bronze can be used alone or mixed together for a custom shade. This duo will compliment a larger range of skin tones and offers such a intense glow without being too shimmery. 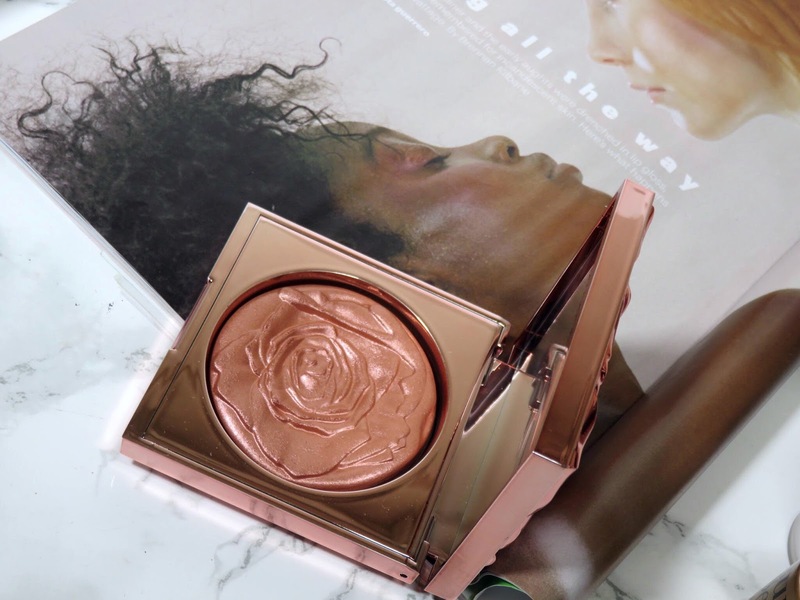 Smashbox x Vlada Petal Metal Highlighter in Rosemantic - This coppery rose gold highlighter would look stunning on a deep skin tone! This texture is so fine and refined. It blends into and sits on the skin beautifully without emphasizing texture. 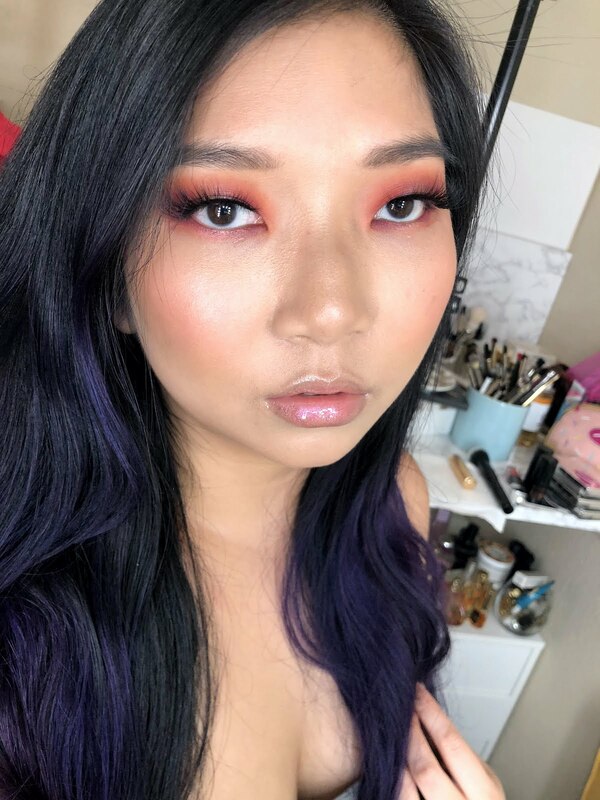 If you're a medium skin tone like me or a fair skin tone, it makes a beautiful blush/blush topper! Check out my full review on these here. 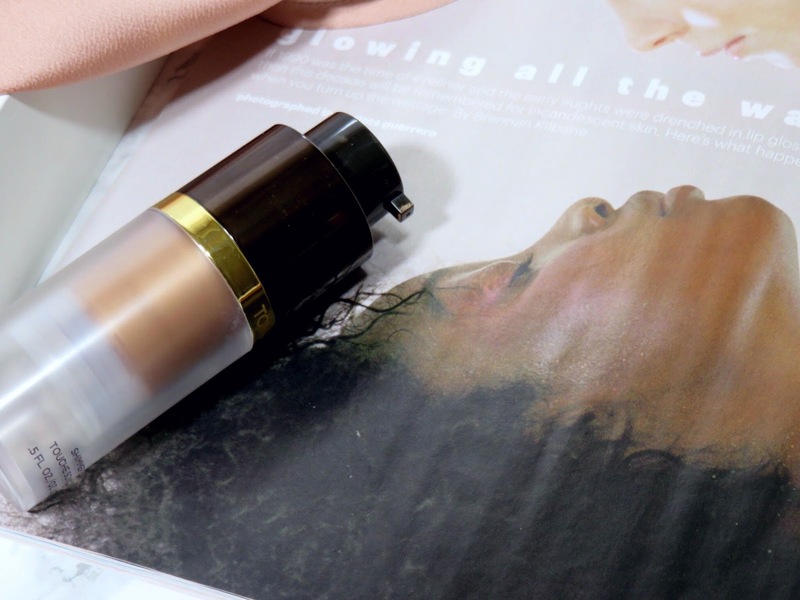 RODIN olio lusso Luxury Liquid Highlighter - I am really smitten with the texture and finish of this liquid highlighter. It is a very light liquid that blends into the skin beautifully. The gold shimmer is very soft and leaves a beautiful sheen to the skin that is really fresh but it isn't too dewy or wet. 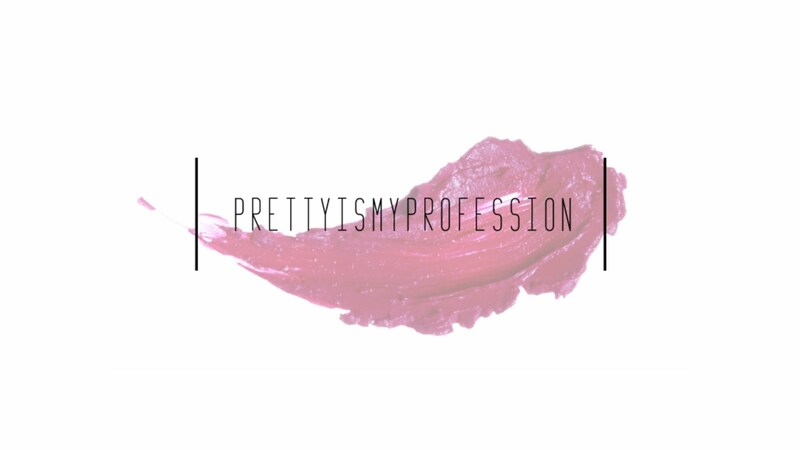 This shade and formula will work very well for many skin tones and skin types. 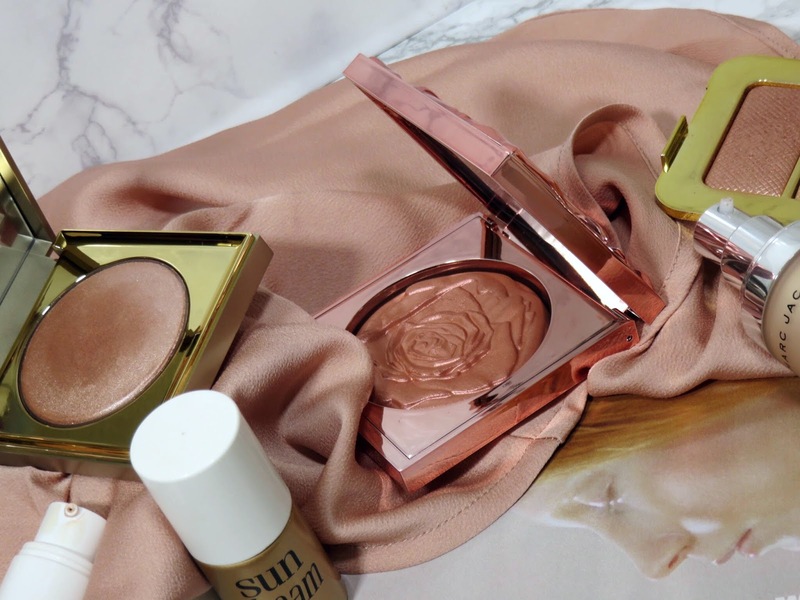 Especially, mature skin types because the shimmer is not too strong and the formula is very light and blends into the skin, as opposed to sitting on top. Read my full review here. 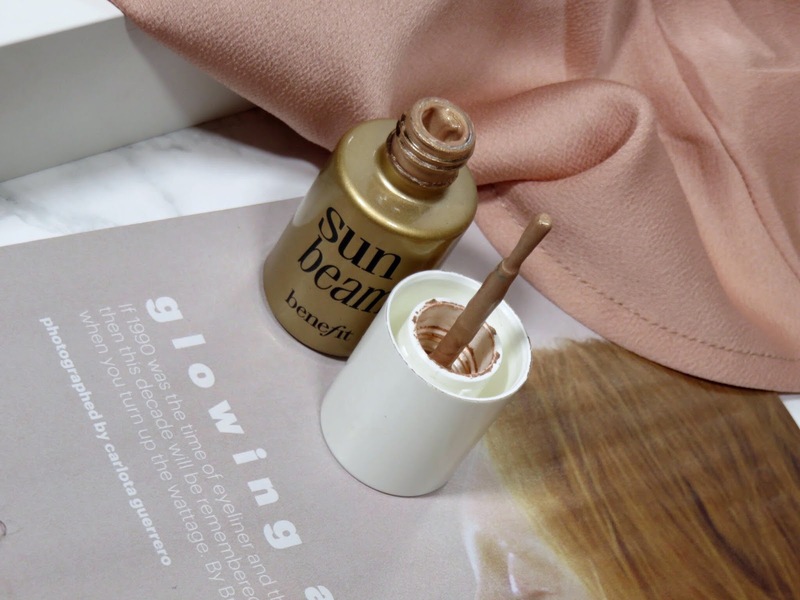 Benefit Sun Beam Golden-Bronze Liquid Highlighter - Very similar to the previous one, this one has a light liquid texture as well. I have had this highlighter for years and summer time is when it comes out again. 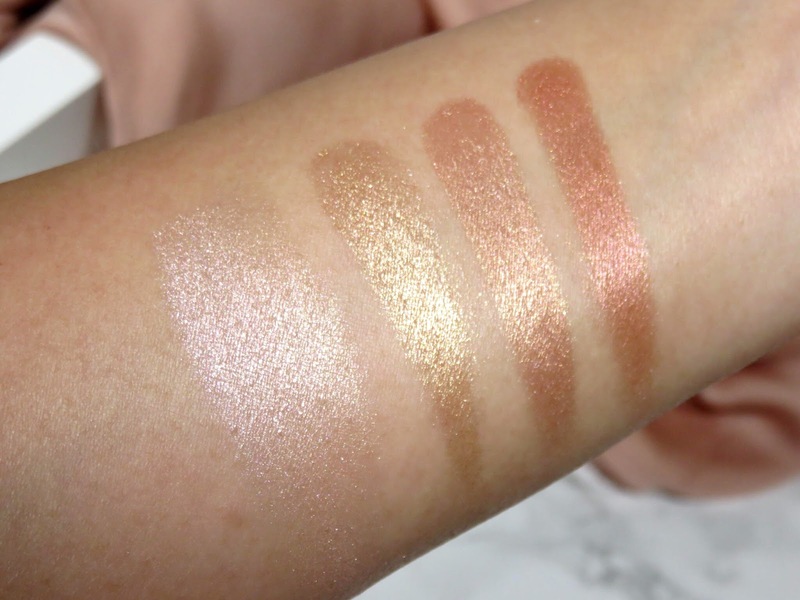 It has a bronze-gold sheen that is really fresh and will work for most skin tones. The shimmer an glow is very fine and it offers a beautiful radiance without a lot of shimmer. Great for more mature skin types or those trying to avoid amplifying texture on the face. Marc Jacobs Coconut Dew Drops Coconut Gel Highlighter in Dew You? 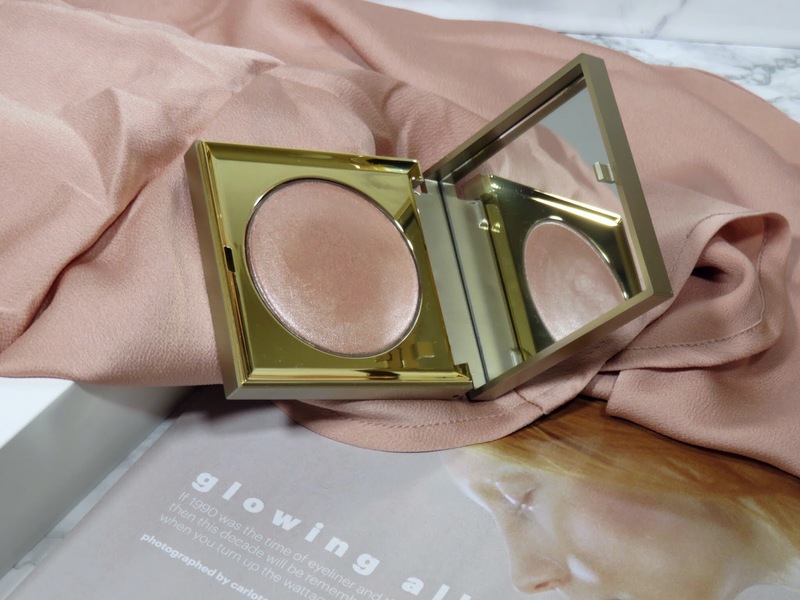 - This classic highlighter has been around for a couple years and it is really intense! 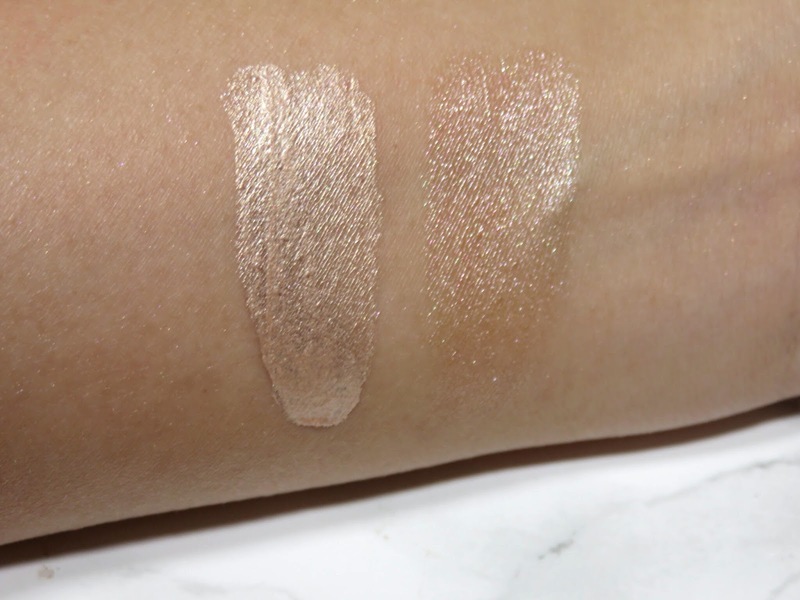 This gel-liquid formula is insanely pigmented and it leaves a very strong glow! It doesn't contain shimmer but it is very pigment-heavy and a little drop goes a very long way. 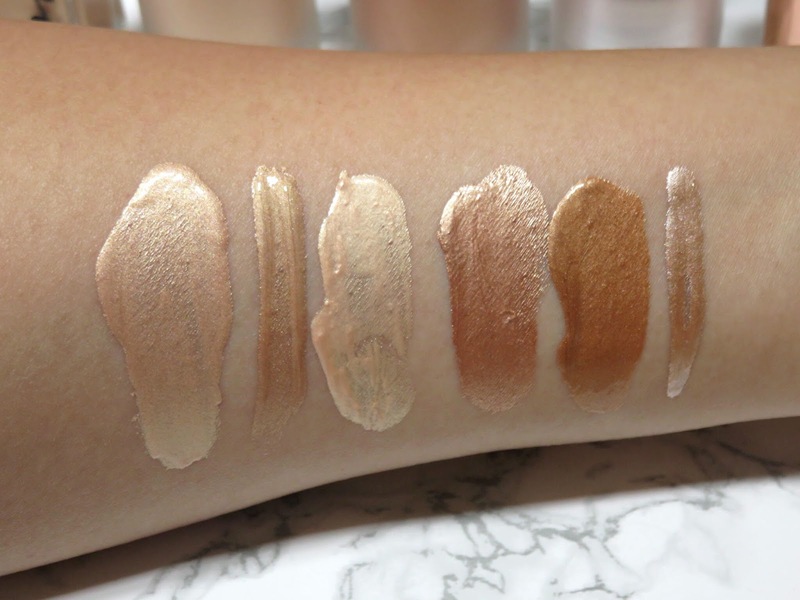 I would say be wary of overdoing this because it can emphasize texture because it is so glowy. This light gold shade works best for light to medium skin tones. Check out my full review here. 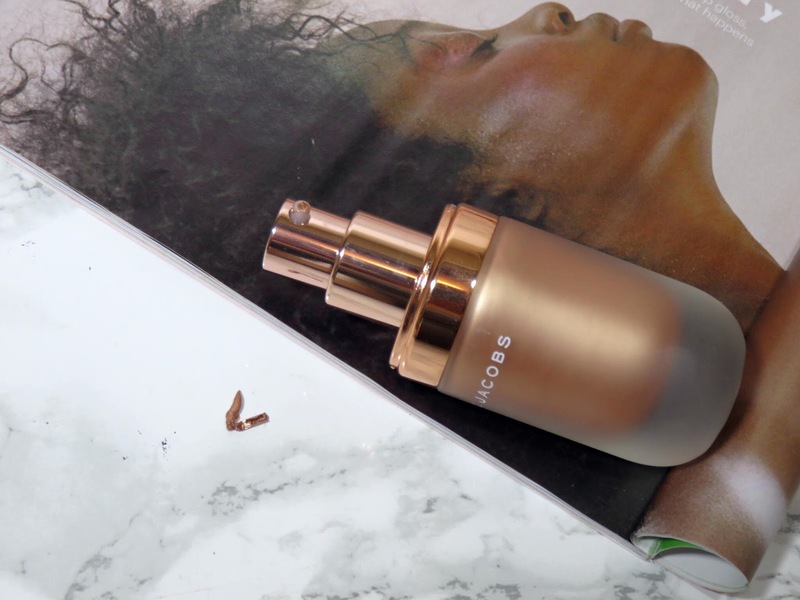 Marc Jacobs Coconut Dew Drops Coconut Gel Highlighter in Fantasy - This gorgeous coppery rose gold shade would look beautiful on a deeper skin tone! It has a beautiful bronze gleam but with a rose gold base and it looks very complex! 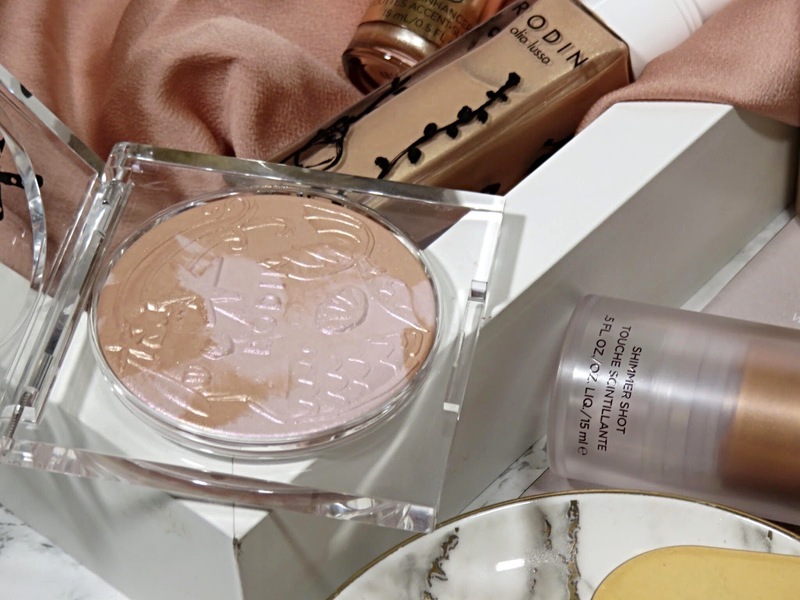 On a fair to medium skin tone, it's a bit trickier to pull off as a highlighter, so I recommend using this as a blush or mixed into a cream blush to add a bronze-rose gold glow. Check out the review here. 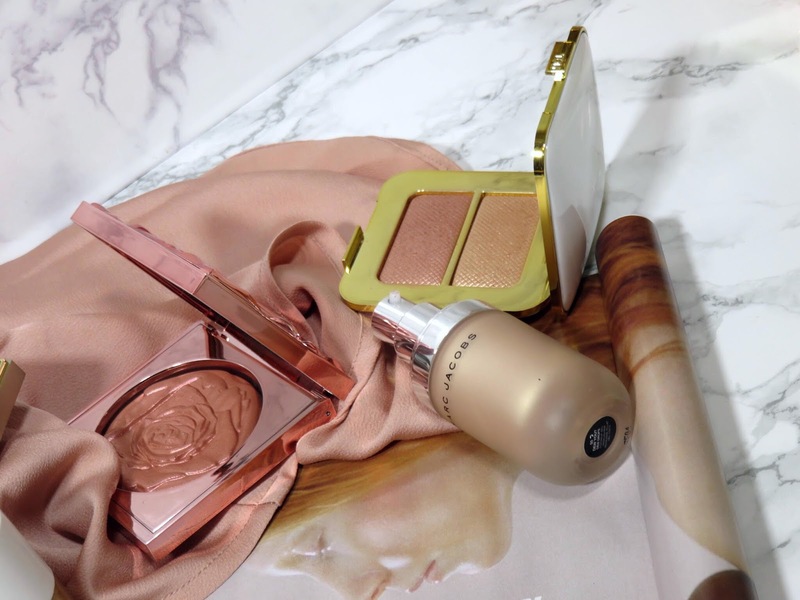 Tom Ford Shimmer Shot in Lust For Life - This is another one I would highly recommend for deep skin tones, unfortunately I believe this product is no longer available! I didn't realize it until I started writing this post but I thought the swatch might be able to help with finding something similar. 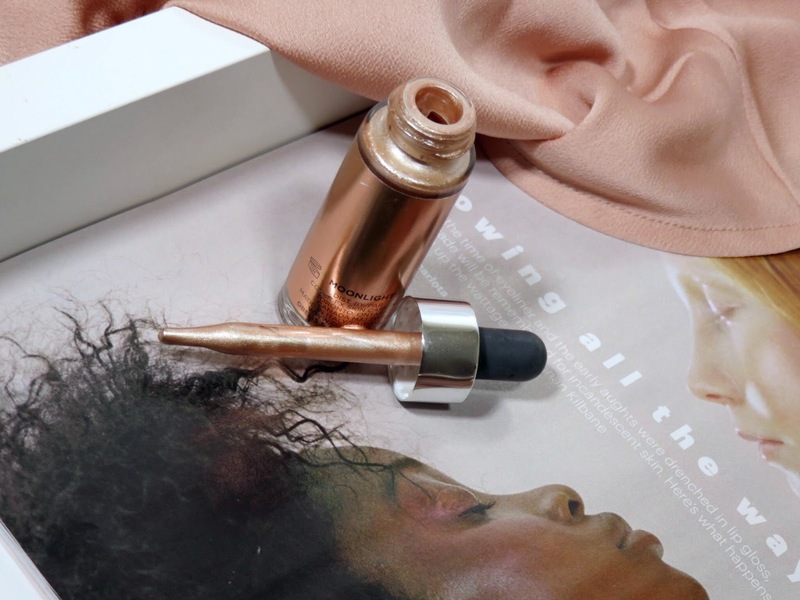 This is beautiful true bronze liquid illuminator, it sheers out a bit and offers a really lovely bronze glow to the skin. I think there are some in the Giorgio Armani range that will be similar to this highlighter in texture and color. 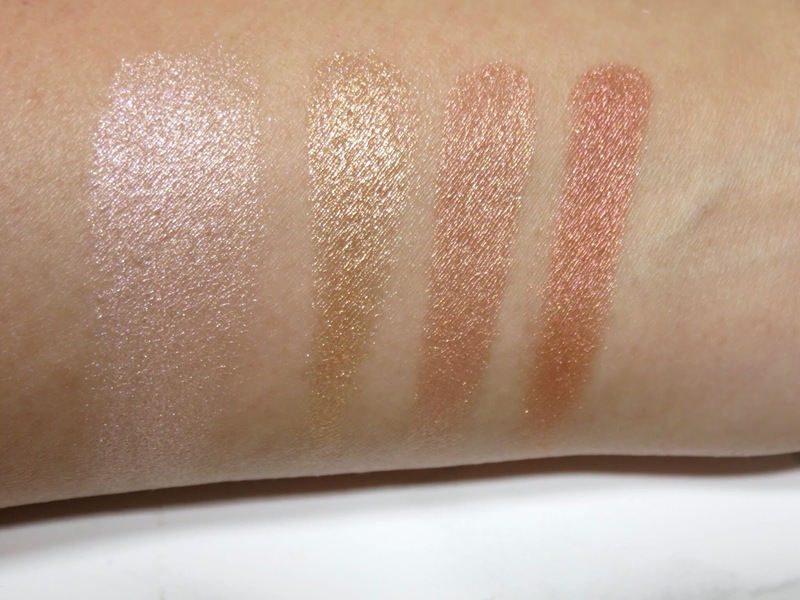 Full review and swatches here. Cover FX Custom Enhancing Drops Highlighter in Moonlight - This is another highlighter I have owned for a while but hadn't embraced very much until recently. 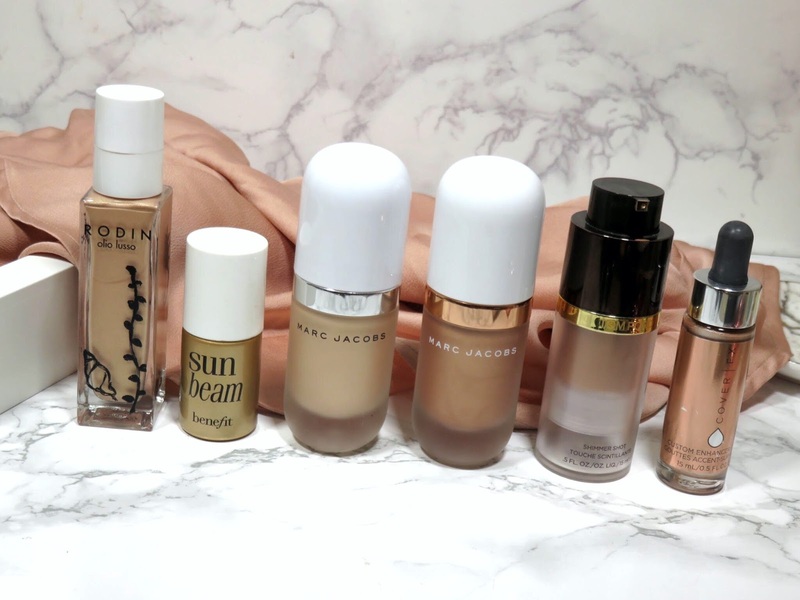 These drops are highly pigmented and intense but they blend very beautifully into the skin and while they are quite metallic, the shine is very fine and doesn't emphasize texture. The reason why I have been really liking this product is that it sets to the skin quite well and doesn't move, which is so great for summer! I also like to top this with a gloss or glossy highlighter, like the Tom Ford Shade and Illuminate Highlighters. 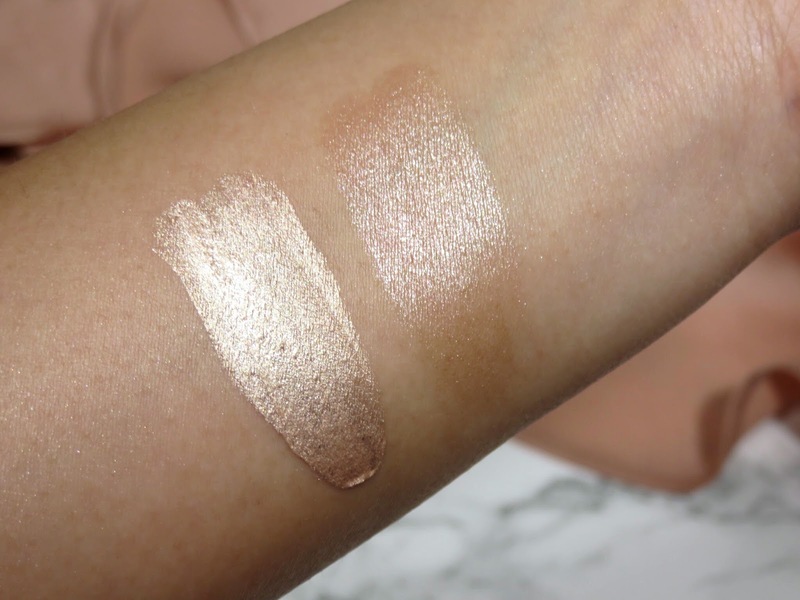 I would describe this shade as a peachy-champagne with a bright silver reflect, it can work for any skin tone but I think it's best on a fair to medium skin tone. These come in many shades for all skin tones though. 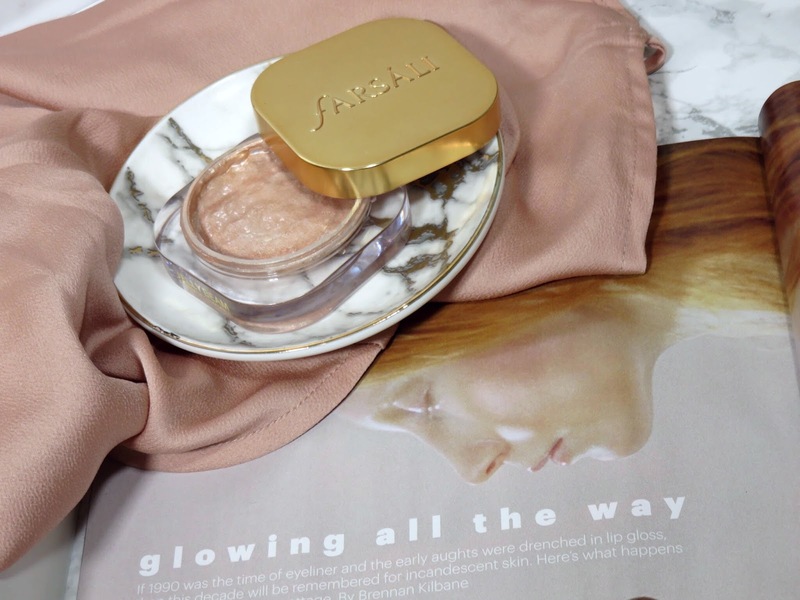 Farsali Jelly Beam Illuminator in Glazed - This unique formulation is not only fun to play with, it's actually really easy to work with.This jelly highlighter is very pigmented and it offers a very intense glow. You really don't need much and using your fingers is probably the best application method. The jelly melts into the skin beautifully leaving a beam of radiance, hence the name. It now comes in multiple shades for every skin tone but I think the original in glazed is a beautiful champagne-golden peach glow for summer. Check out my full review here. Stila Heaven's Hue Highlighter in Kitten - This bouncy and creamy highlighter is the perfect warm champagne-peach shade to suit many skin tones. It has a beautiful glossy finish and blends into the skin effortlessly. It really gives the perfect amount of gloss and the perfect amount of shine. It doesn't have shimmer particles in it, it is very fine and smooth on the skin. While it is glossy, it doesn't have any tacky or sticky texture. It feels natural and soft of the skin. 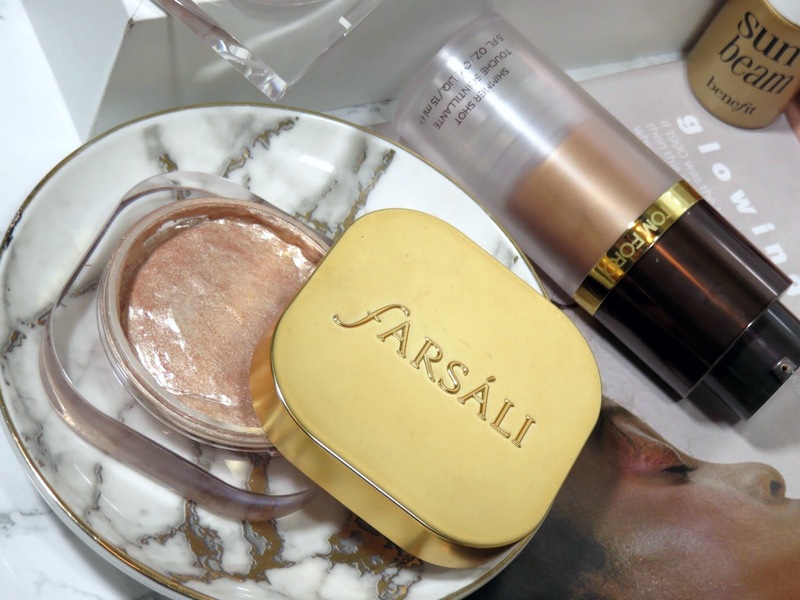 It gives the most beautiful healthy glow, definitely a highly underrated highlighter!